Kenburn has over thirty years' experience of helping businesses in Scotland save money on their waste costs. Businesses can save money by reducing the amount of waste they produce and reusing, as well as refurbishing and recycling as much as possible. Landfill costs are expensive, with incremental increases every year. Reducing waste costs in Scotland is achievable with help from Kenburn. We offer a number of options to help you get the equipment you need. If you don’t want to incur the capital expense of buying the machinery, our rental agreements will help you manage your cash flow. We offer three or five-year rental options. At the end of the term, you can carry on renting the machine, return it to us, or replace it with something new. Since all rentals are tax deductible, our rental options might present a more attractive tax efficient option for you to get the equipment that you need for your business without making a large capital outlay. 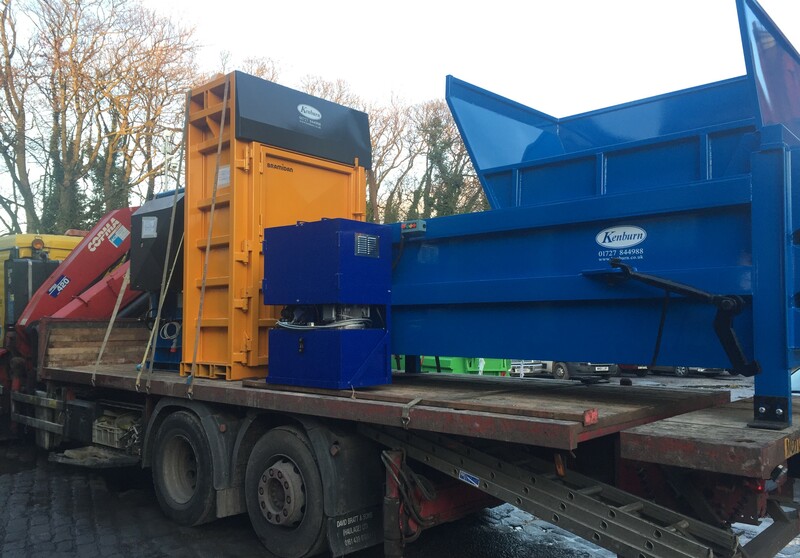 Seen here are three machines on a journey from Kenburn in St Albans to Buckie near Inverness, with a drop off at Grangemouth and Fife on the way. Distance is no object for Kenburn! 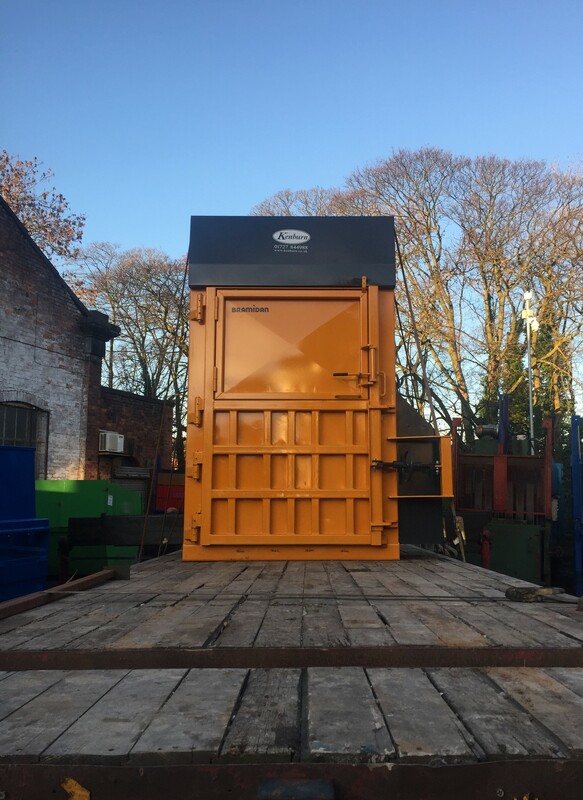 We're delivering a mill sized baler, which has been refurbished in our workshops in St Albans and looks as good as new, together with a Europress Balex 30 Baler and Kenburn Select KS300 Static Compactor. 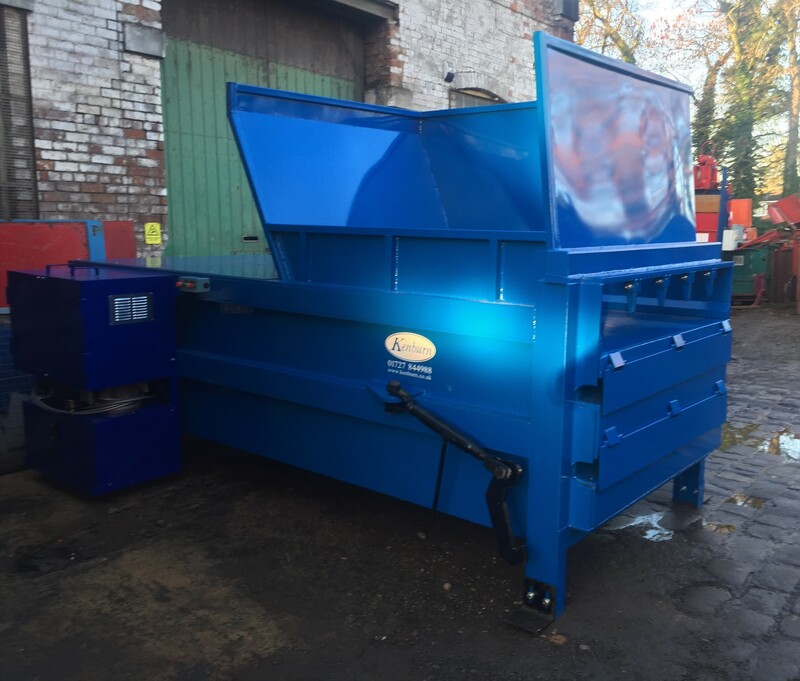 We supply a full range of top quality waste handling machinery and have a well-earned reputation for supplying waste balers and compactors that are reliable and built to last. We supply both new and refurbished machines, all with a 12-month warranty. 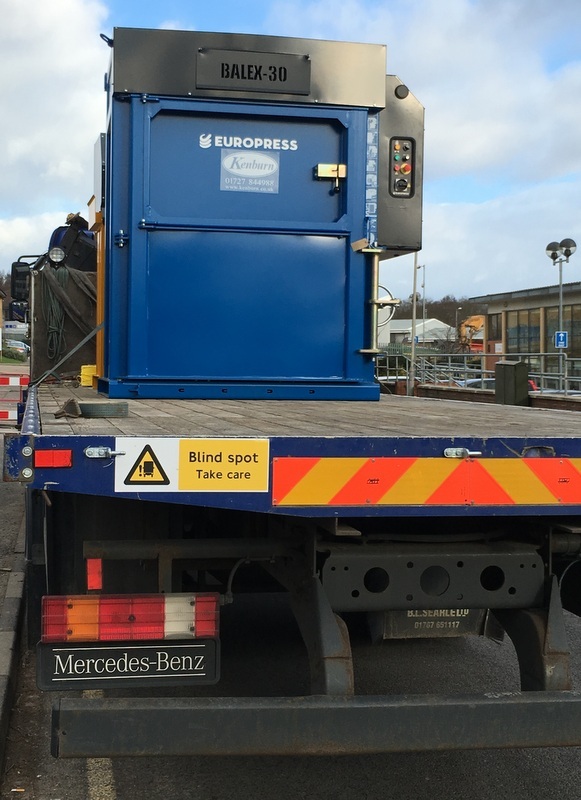 In fact, Balex balers manufactured in Finland by Europress are supplied with a 24-month warranty! We can also service any manufacturers waste handling equipment, as well as our own. We don’t offer a waste collection service, so you're free to regularly negotiate the most competitive rates for your waste. 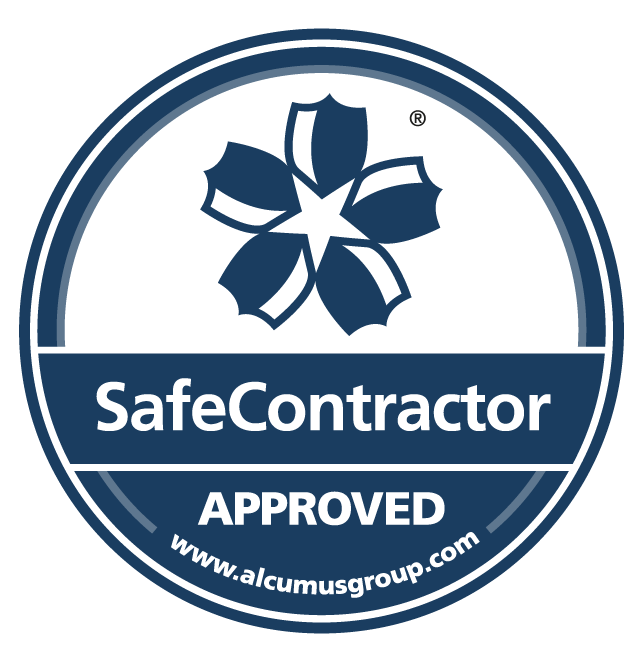 You can choose the best quality machinery on the market, without being tied to a contract for machinery and waste services. Our expert waste advisors can visit your site and audit your waste to provide cost-effective solutions for volume reduction. We can suggest initiatives which will guarantee to reduce your ever-increasing waste management costs. Take a look at our range of balers and compactors on our website and give us a call today to find out how we can help you save money.